After the previous day’s walk from Douglas to Peel, which the GPS tracklog showed us to have been just over 25 km we decided to have a lazy day. 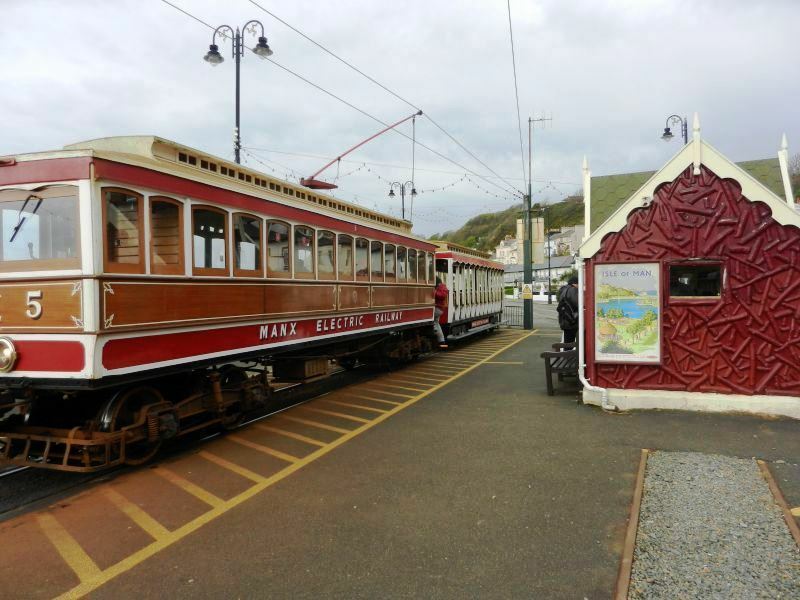 The island is known for it’s working museum transport so we walked up to the Electric Tram terminus at the north end of the promenade where we parted with £16 for a day pass on the Manx transportation system. That included travelling on modern buses, the electric trams, horse drawn trams and steam trains. We had already travelled by bus a couple of times and liked the £2:70 single fares. 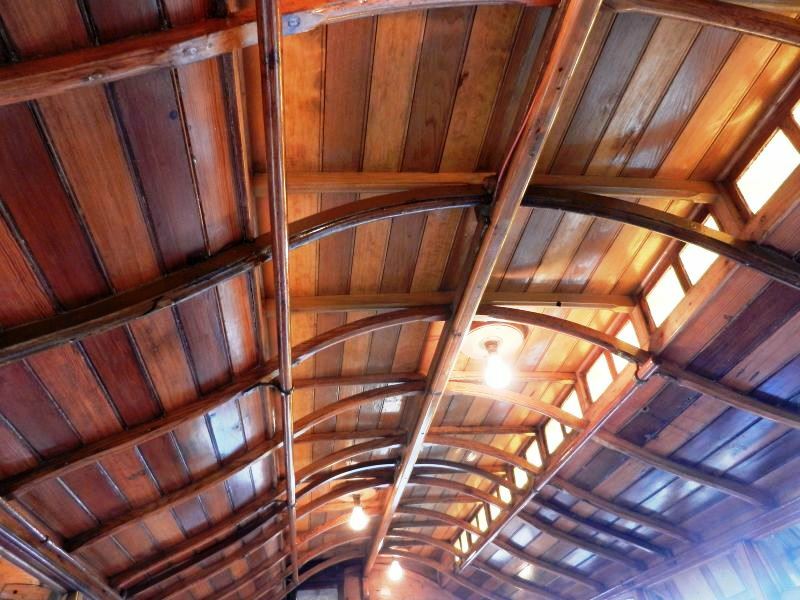 There are in principle two electric tram lines. 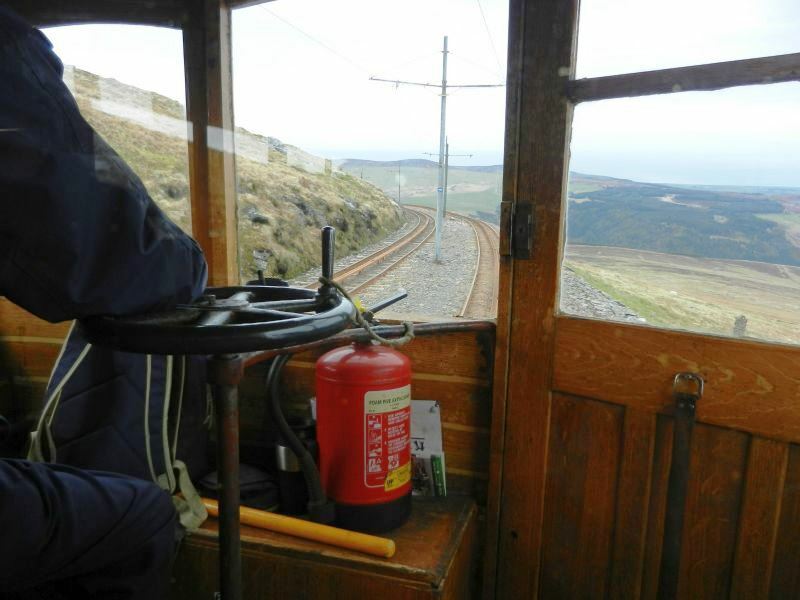 The first runs between Douglas and Ramsey in the north and the second runs from Laxey, half way between Douglas and Ramsey, to the top of Snaefell (621 m). 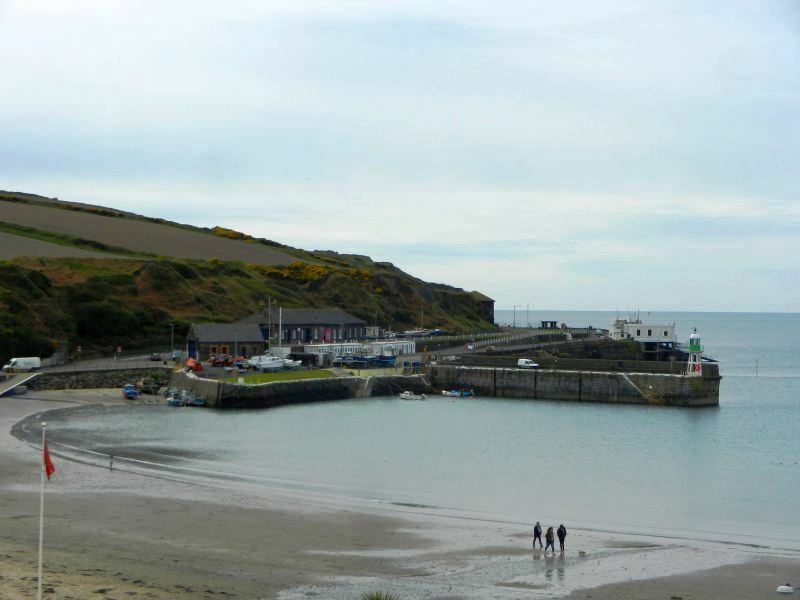 The steam trains run from Douglas to Port Erin at the south end of the island. The horse drawn trams run along the promenade from the Electric Tram terminus. A tram pulled into the terminus as we were buying our day passes and a few minutes later we were aboad. It didn’t take long before the tram was full. Not bad for a cold day in April. I wonder what it will be like in summer when that tourist season is in full swing? We set off at a moderate speed following and crossing back and forth the road to Laxey. The trams are much slower than the usual traffic but have precedence at the road crossings. At Groudle Glen we noted that there was a private Victorian 2ft narrow gauge railway that covered a kilometer or so up the glen. 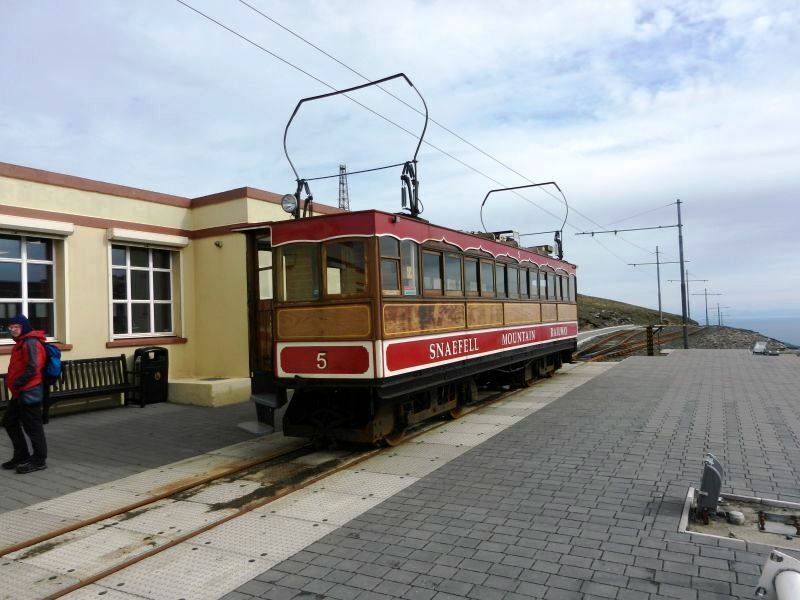 When we arrived at Laxey we got of the tram and got on a waiting tram that is specially built for the steeper incline up to the summit of Snaefell. The route is characterised by having a third central rail that allows a mechanical grip type brake to operate in case the normal motor brake fails. 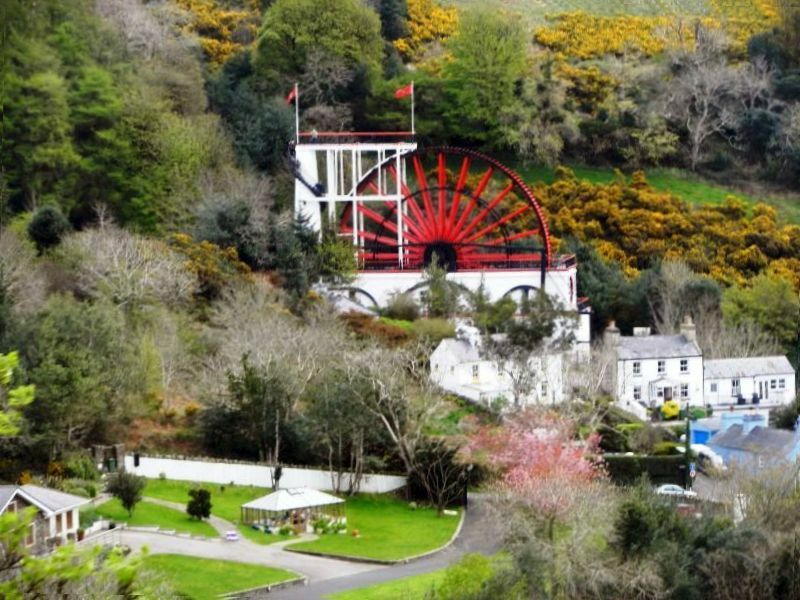 As we moved out of Laxey we saw the famous Laxey wheel. 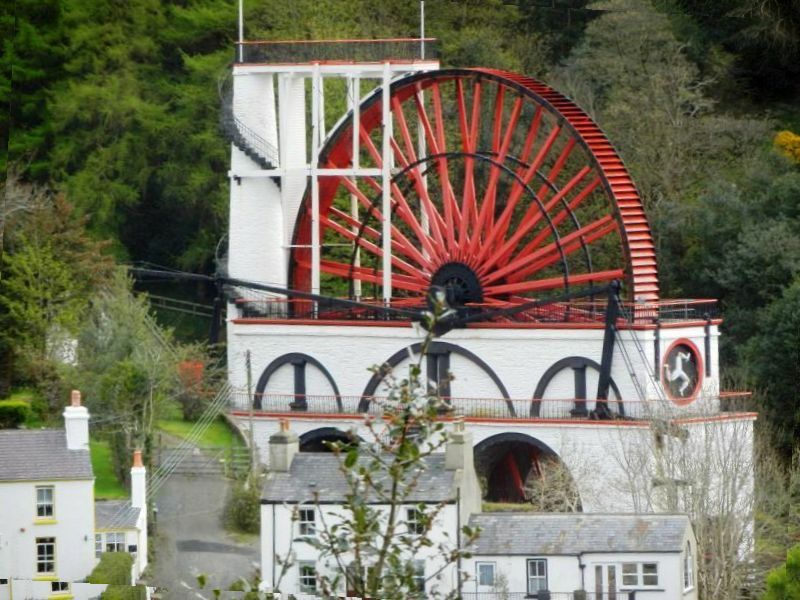 This is a 22 m diameter water wheel built in 1854 to pump up water from the 460 m deep lead mine (now disused) and still in operation. 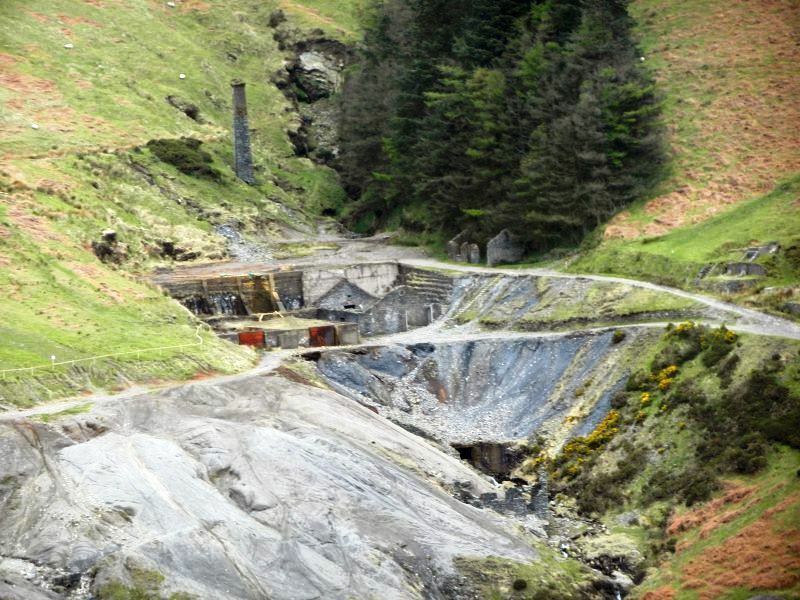 Signs of mining were seen further up the valley. 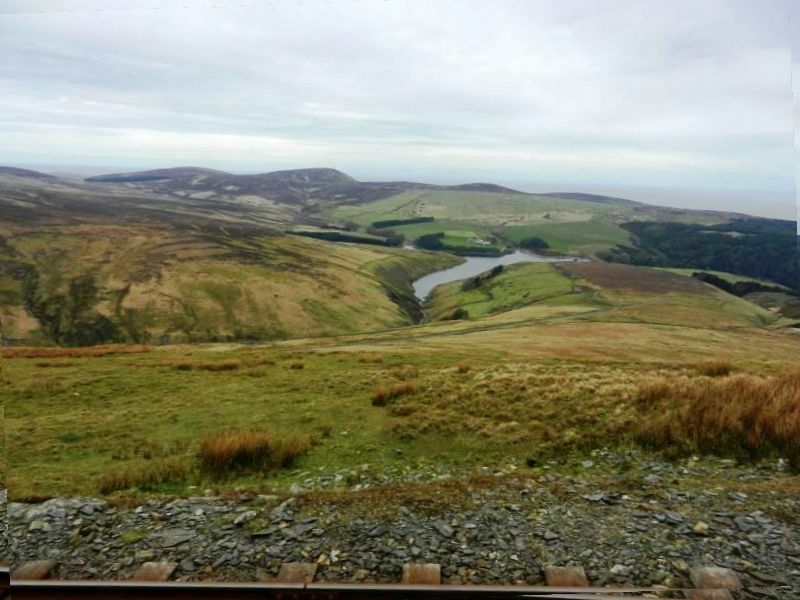 At Snaefell summit we jumped off the tram and rushed up and over the remaining few meters to get to the Six Kingdoms cache so we could get back onto the tram that started it’s downward journey in 30 minutes. It was blowing hard and zelger and I were both pleased that we had hats and gloves with us. Of, course as a radio amateur the masts were of interest and I had listened to traffic on and tried to activate GB3GD and GB3IM-S without success on our walk between Douglas and Peel. 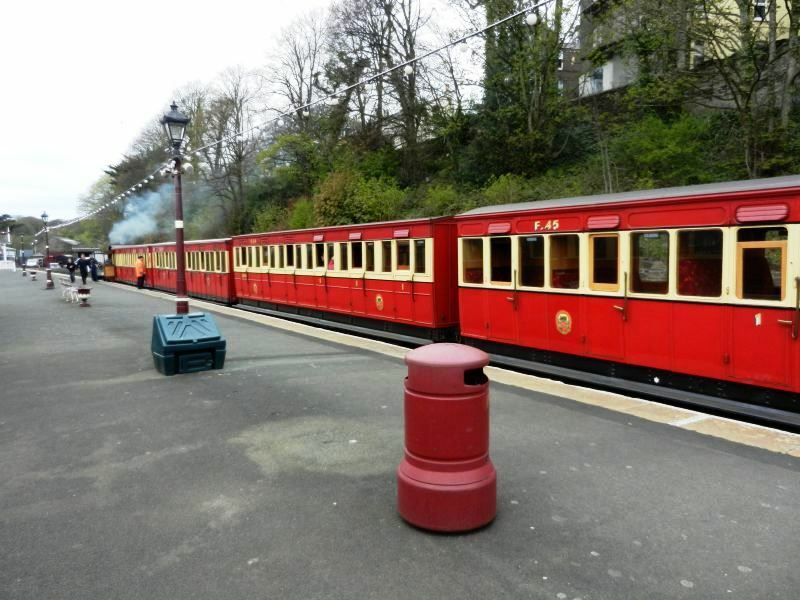 After spending some minutes at the earthcache twoofnine (two of nine) we jumped back on the tram and rolled back down into Laxey. On the way down. Note the rope safety brake! 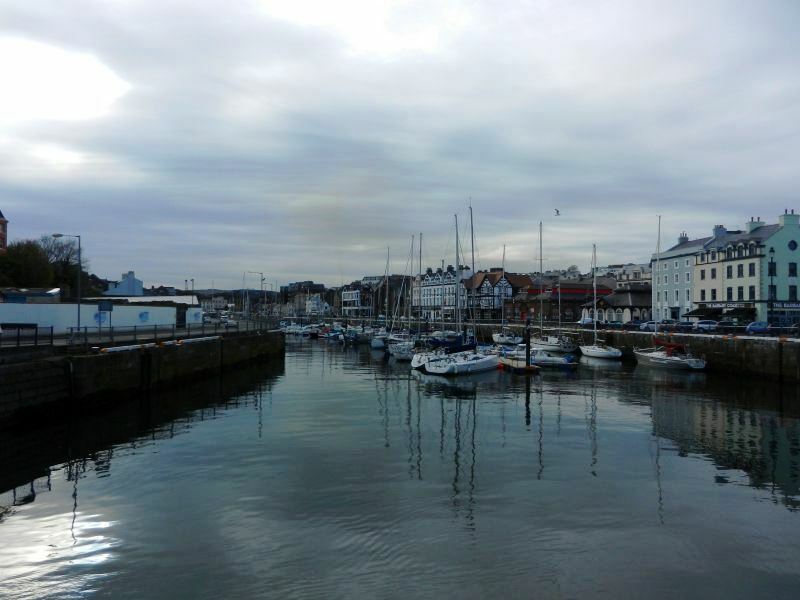 After a few minutes the tram to Douglas appeared and we made our way leisurely back into the main town. 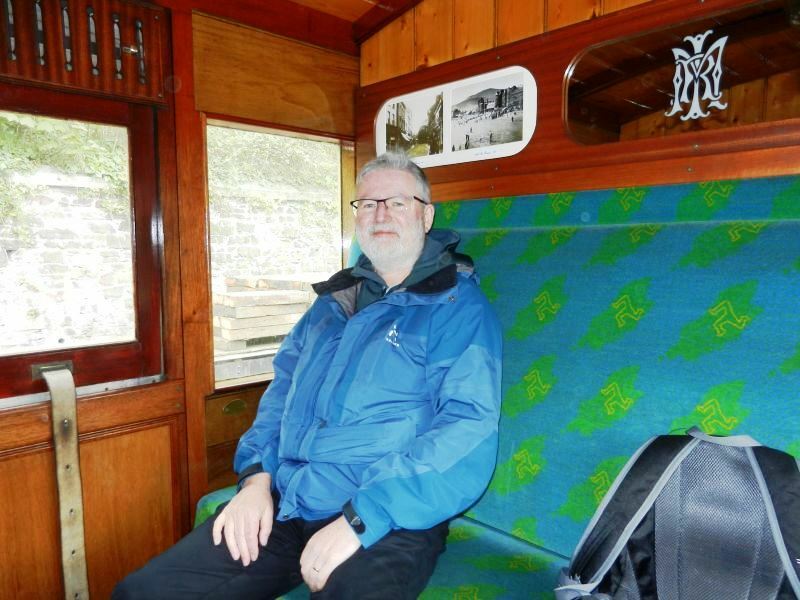 We had intended to take the horse drawn tram along the Promenade but the next tram was too late for us to get to the railway station for our next leg of our travels, so we jumped on a regular bus that wisked us away towards the station. We got off a few stops earlier to log the virtual cache NOW I AM ON MY OWN. At the station we had just enough time for a quick cup of coffee. We bumped into Steinmann, a geocacher (and radio amateur) from Germany that we had met a couple of days previously at the Meet a Swede event. 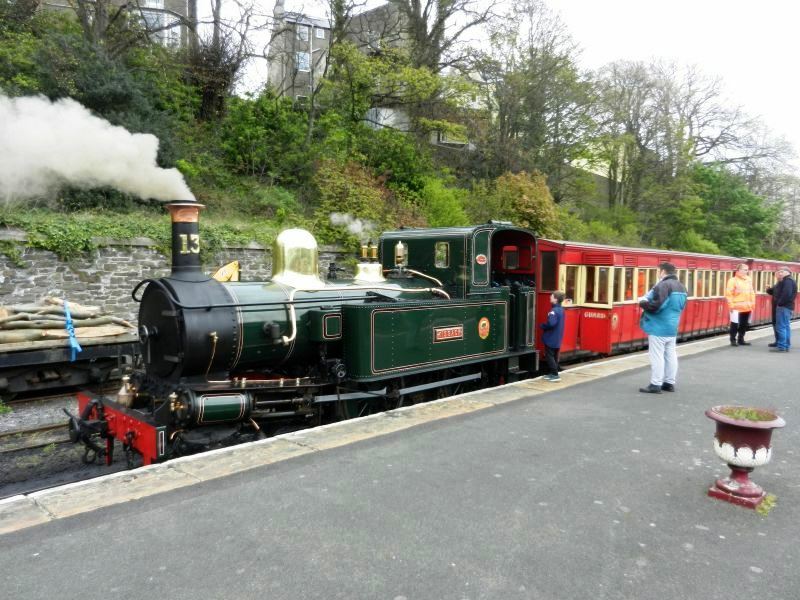 We chose a first class carriage and enjoyed the leisurely journey into Port Erin. We had time for a short walk (no geocaches in sight) and a pint in the pub opposite the station before making our way back. 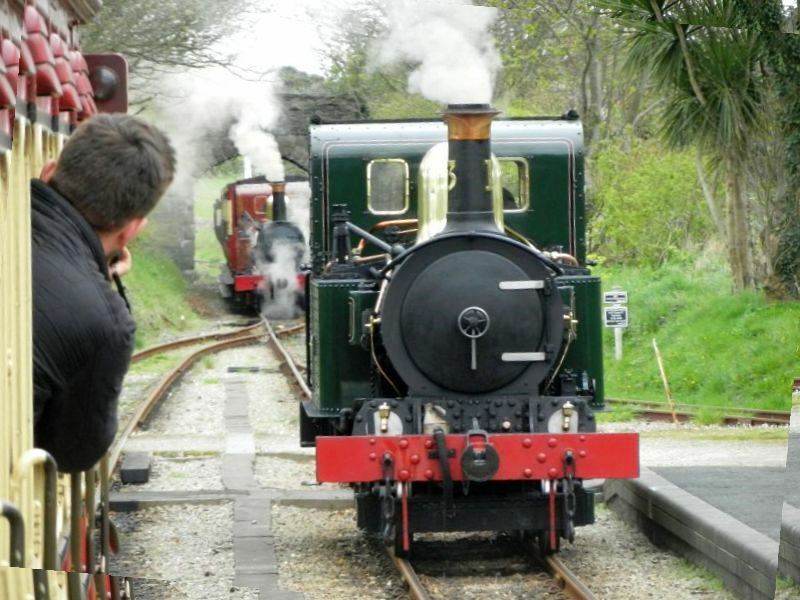 Some kilometers out of Port Erin we stopped to swap locomotives with the train coming from Douglas. 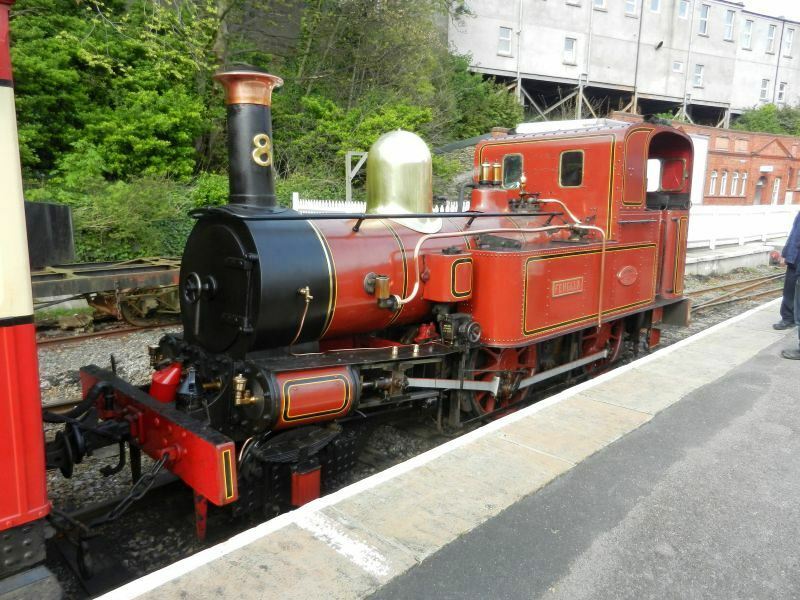 It seems that loco No13 (Kissack) lives in Port Erin and No 8 (Fenella) in Douglas. 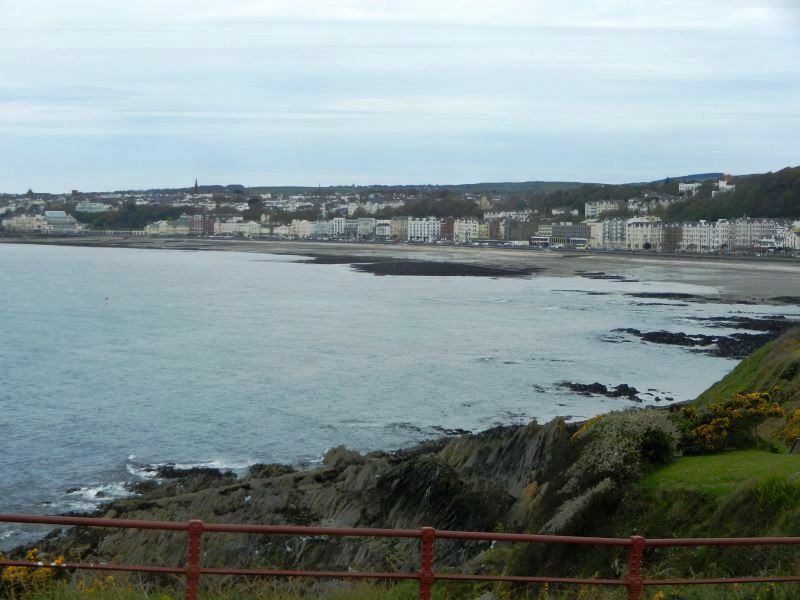 Upon arrival in Douglas we set off towards Manx the islands oldest geocache. On the way we passed by the inner harbour and found two urban nanos at Back in Time and Tongue Twister. 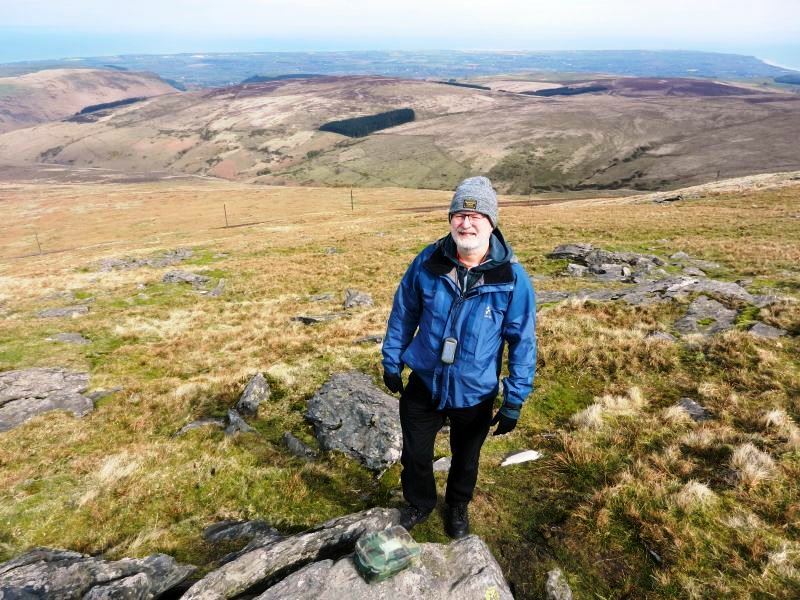 We finished off our geocaching with The Isle of Man’s Shortest Multi-cache which wasn’t easy to locate but when zelger triumphantly fished it up from it’s hiding place we both had a laugh. I won’t post any spoiler, but it’s on my list of caches to copy. So after an evening meal at the same location we used for the event we went back to the hotel and packed ready for the early morning plane to Gatwick and more geocaching adventures.